When an EV is faster than most supercars. Tesla has made a name for itself with its record-breaking EVs. Just recently, the Model S P100D reclaimed its title as the fastest accelerating production car in the world, setting an astonishing 0 to 60 mph time of just 2.28 seconds thanks to the recent Ludicrous + update. That’s faster than most modern supercars, despite the Model S weighing considerably more. But how is such awe-inspiring acceleration possible? Engineering Explained has the answer in this in-depth video. Host Jason Fenske goes into considerable detail about the engineering and physics at work that allowed the Model S to break the new speed record. If some of the technical aspects go over your head, in short several simple factors made it possible. 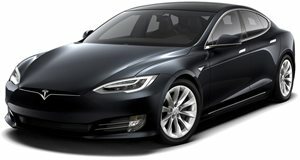 First, you only have to look at the specs – the Model S packs 680 horsepower and 791 lb-ft of torque. That tremendous power is sent to all four wheels thanks to the all-wheel drive system. This is then transferred to the ground via Michelin Pilot Super Sport tires with wide 265-series rubber. Taking this theory further, the video provides additional analysis, comparing the stopping distance and time of the Model S with its 0 to 60 mph time to find the limit of the tires. Jason also attempts to answer a pertinent question – would the lighter Tesla Roadster be faster with the same powertrain as the Model S P100D? People seem conflicted, but we'll let you watch the video to find out Jason’s theory.